here's how you get around no ammo in the stores to practice with. one afternoon, 500 rounds 9mm, 200 rounds 45 acp, and 100 rounds 45 Colt. should take at least as long to shoot as it did to reload. 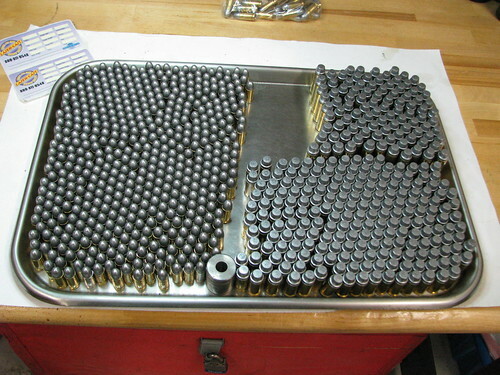 if i take a bunch of 22 ammo with me to mix things up. i sniveled on this post that there is less and less ammo available at the retail level. well, i think that my fellow shooters in this country have figured out that there is an option. 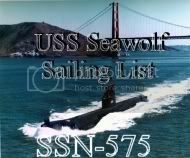 my site traffic over the last three or four months has shifted from folks looking for recipes for food to looking for recipes for reloading. yeah, we're a country of innovators and problem solvers. got a problem finding center-fire ammo? reload your own! currently 49% (from sitemeter stats) involves searches for reloading info. reloading, the ultimate recycling. Re-cover, Re-load, Re-shoot! very cool, a great link for "folks like us"
Doug Ross has flown under my radar for too long, but i stumbled across the blog on a link from an email. check it out. so you want to have the government run the health care system? kind of like they do in Britain? how about we examine just what that might mean. how about in a system paid for by taxes dedicated to providing health care, there are more managers than midwives, as the article headline states. Meanwhile the number of health visitors and nursing assistants, who help on the wards with duties including cleaning and helping the elderly to eat their meals, have fallen by 3 and 6 per cent respectively. Critics say patient care is suffering because the NHS is putting more effort into employing bureaucrats - often in so-called 'non-jobs' - than front-line staff. They say cuts in the number of nursing assistants will lead to more malnutrition on Health Service wards. Overall, the numbers working in the Health Service rose by 2.8 per cent to 1.37 million - a quarter higher than the figure when Labour came to power. The news comes after the Government admitted that NHS staff and other public sector workers would receive inflation busting pay rises, even though the private sector is struggling with pay freezes and job cuts as the recession begins to bite. Conservative health spokesman Andrew Lansley said: 'Yet again funds that are urgently needed for the frontline are being swallowed up by Labour's bureaucratic black hole. chalk one up for the good guys. seems someone went into a burger king with a ski mask on, wielding a gun. results, ski mask dead, customer (a legal CCW holder) wounded. check out the article from the Miami Herald. then for a good indication of what the public thinks, read the comments. everything from "why did they get into an argument when the customer should have just shot the sumbich", to "oh my god, we're turning in mexico". i plan on following the comments, hoping to see someone has put up a site to help gather donations for this brave citizen's costs. i'll let you know. me, i'm in for some bucks to help this guy out when i find out. there are fans, and then there are soccer fans. not just any soccer fan, but iraqi soccer fans. so your team is ahead, and the striker for the opposing team in moving the ball down towards your goal. a score will tie the game. what do you do? what do you do? yell like a banshee? or do you pull out a pistol and shoot the dude dead in his tracks? and then there were a couple of fans dropped in argentina during the workup to a soccer game. is it just me, or does going to a soccer game seem a bit dangerous? hockey looks to be pretty tame in comparison. so i went out today to pick up a couple of boxes of 22s to go banging away with. no such luck. i checked at a couple shops, and the story was the same. no winchester 333's ( that's a box of 333 rounds that all of my 22s like) to be seen anywhere. the only thing left on the shelves was 22 shorts and longs, mostly CCI. good thing i have a stash of several boxes, but when i take others out to go shooting, i always bring more than i need. i asked the guy behind the counter of the store where i usually buy from, and his reply, after rolling his eyes, is that "no, we haven't stopped selling ammunition. we just can't get any." he sold 10,000 rounds of 9 and 40 they got in in less than a day. those buying it were buying all they could get their hands on. hmmmm....folks are worried about the new administration, one with strong anti-gun tendencies, i'm guessing. i seriously doubt it's about getting ready for a big crime wave. probably more like worries about availability, taxation, and registration in the very near future. went out to the net to look around, and there are a number of articles about this. here's a link to one. so here i am, sitting in the lobby of a hotel in Kent Washington. cold. windy, snowing...wait a minute. did he say SNOW? ayup. we left Sacramento under clear skies and 60s degree weather, to land in a damned snow storm. you should have seen me driving. me driving in snow. i suppose i should have called ahead to the state police so they could clear the roads of traffic, as a public service. but we made it. mom's 75th birthday is why we made the trip. well, one of the reasons. i did this recipe shortly after christmas, and took pictures as i went. i'm just now getting around to posting the recipe. so what do you do after the holidays are over, and the refrigerator is stuffed full of leftover ingredients from the feasting season? i always look at what's jammed in there, and try to come up with a winner using it all up. i've dreamed up stuff like ham and bean soup using leftover t-day ham bones, and baked potato soup using leftover spuds and other goodies, as well as turkey veggie soup. all from stuff left over from the gluttonous revelry that is the holidays. so i had a ton of cheese left over from the cheese balls i made as appetizers. hmmmmmm. i hate to see perfectly good shredded cheese go to waste. but what the hell do you use a whole pound of left over shredded cheese on, before it turns into a weird fridge biology experiment? hmmmmmm. there's a big bag of left over broccoli florets from the salad i made. hmmmmmm.........!!!! broccoli and cheese soup!!!!! 1 pound (4 cups) shredded cheddar and jack cheese blend. hey, that's what i had. regular cheddar would rock too. melt the butter in a big enough pot to hold everything. saute the onion, celery, and garlic until soft, a couple of minutes. add the flour in all at once, and mix until all the butter is absorbed. cook for a minute or two. slowly add the chicken broth, stirring to dissolve the roux. add the milk and 1/2 and 1/2, and bring to a boil. 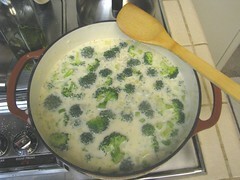 toss in the broccoli, allow to come back up to a light boil, and then turn the heat down to simmer. toss in the rest of the ingredients, except the cheese, and simmer for about 30 minutes, or until the broccoli is nice and tender (soft). 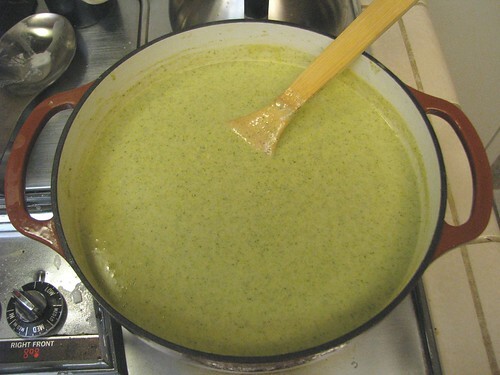 remove the pot from the stove, and blend the soup until you get a smooth consistency. i used a stick blender, but a regular blender will work. 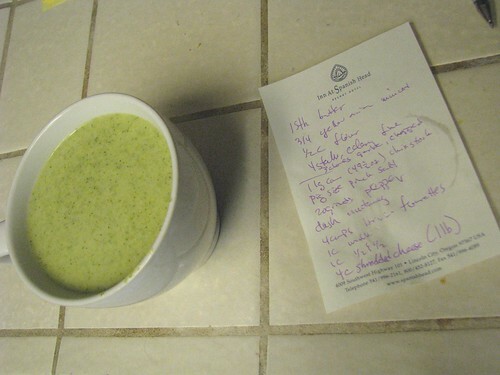 just let the soup cool down a bit before buzzing it in a blender, or else you will be wearing it. hot soup splattering all over the kitchen is not a good thing. if you let it cool to blend, put back on the stove and bring to a very light boil, then take it off the heat. add cheese a handful at a time. stir until melted, and then add the next handful. continue until all the cheese is melted. you may find that you will need to heat the soup on low to get the last of the cheese melted. i didn't, but that's because i used an enameled cast iron dutch oven to make this in, and it holds the heat like a champ. i really like the enameled lodge cookware. sturdy, well made, and way way way less per piece than comparable cookware made by a famous french manufacturer that shall remain nameless. be gentle with the heat after adding the cheese, or else you may end up with a really grainy soup. if you want to reheat leftovers, do so gently. do not allow to come to a boil!!! i went out, bought a cheap 5/8" sheet of particle board, a nice piece of 3/4" red oak plywood, and a 1/2 sheet of 1/4" red oak plywood. the particle board was for a mockup. i built one just to see if everything would fit, and to get a little practice with the router and jigsaw before chopping up the expensive wood. i figured out that a 24" radius for the edges was way way too much, and decided to use a coffee cup instead. the radius from the cup is perfect. so i cut, assembled, used 1/4 round as supports for the middle and top shelf, and then stained and varnished the whole thing. once done, i cut, drilled pass through holes, stained and attached the 1/4" back. 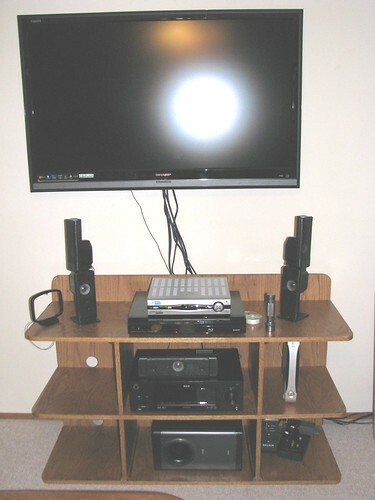 a nice weekend project, custom built for my house for around $80.00.